And a good name at that. I got to meet Arthur Ashe in Newport, RI during his induction into the Tennis Hall of Fame. Now back to your regularly scheduled thread. Well . . . good guess. But no. I used the name of the FF12 character. New Yorker Lakisha Hoffman and her sister Jennifer signed up for the 14th season of CBS' "The Amazing Race" in hopes of becoming the first all-female team to win the grand prize. "We knew that from all the seasons before, a female-female team had never won, and we felt like we had what it took to be the first," Lakisha, 28, of the Bronx, told the Daily News. "We didn't put too much pressure on ourselves because we still wanted to have fun, but it definitely was in the back of our minds." 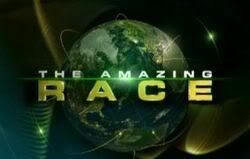 "The Amazing Race," premiering Sunday at 8, features 11 teams of two who travel the globe and compete in grueling challenges, ultimately covering 40,000 miles of nine countries in just 22 days. This season's contestants feature a pair of stunt men, a pair of flight attendants, former NFL cheerleaders, the competition's first deaf contestant and a Hollywood screenwriter/producer. Lakisha, a former college basketball player who's now program coordinator for New Heights NYC (a nonprofit education group), says it was Jennifer's idea to sign up for the show. Despite being initially reluctant - she has a fear of heights, weird animals and pretty much everything that happens on "The Amazing Race" - Lakisha eventually caved and began training. "I usually fill my day working with kids, watching 'Law & Order' and playing basketball, so I'm not in top physical shape," she said. "I started doing some running and strength conditioning, but other than that, we didn't really have any big strategic plans. We're both laid-back, go-with-the-flow type people, so we decided to take things as they come." Lakisha and Jennifer, 24, grew up in a single-mother household, so they've always leaned on each other for support. But as they've gotten older, said Lakisha, they've started to bump heads. "We joke it's like having two quarterbacks on the field," she said. "But during the 'Race,' we learned to use each other's strengths and how to complement one another when the other is weaker. We make a great team, and this experience confirmed for us that we still have so much growing and learning to do." The first episode of the season kicks off with all the contestants visiting both Romania and Siberia, a first in "Race" history. "Siberia was cold, and I don't care for the cold at all," said Lakisha. "In Romania, the people live such a different life than what I'm used to seeing. It really gives you a greater appreciation for what you have." They weren't seen much on this first leg, but there's a better look at their personalities on the Insider clips. Mel & Mike apparently already nicknamed Kisha "Giggles" because of the sound of her laugh (which sounds really, really weird) and Jen "Sleepy" because she has a sleepy-looking expression on her face almost constantly. Kisha was fine with her nickname since she'd always been called "Dr. Giggles" in her college sorority. Of course, in another clip, they have a fight over material things like Kisha constantly forgetting to zip up her backpack and finding maps. But they do so with surprising calm and maturity and without resorting to yelling at one another. For that, I found myself liking them even more. I really loved them pre-race.. now that the race had started.. i just had this feelin' they won't win. Give them time. Not easy to show all 11 teams in 44 minutes of show. It would be nice if TAR took a page from TARA2's book. Namely putting two NEL's back-to-back in the middle, to get to know the better. I've got a vague feeling that part of the problem with Kisha & Jen's dynamic may be that they're less comfortable with airing their emotions in front of a camera than some. Not wanting to get into all that screaming, crying, and hugging on national TV, so they're not really engaging with their issues and they're sticking with obtusely unresponsive and passive-aggressive respectively. Do you think? Mel & Mike's F6 elimination guarantees that Kisha & Jen will officially tie the record for the highest-placing team of sisters. At least in a two-person-team season. They tie with Kami & Karli from TAR5, who had their own fifth-place finish. They make it through the Bangkok leg, though, and they'll have officially broken that record. I'm glad you qualified that, Ashe. We can go over the Fighting Godlewskis again, but there were four of them. Kisha & Jen are just a pair. And they both have fine pairs at that. I have no idea what that means. And now of course, to break a record for highest girl - girl team, they need to win! I'm glad you qualified that, Ashe. We can go over the Fighting Godlewskis again, but there were four of them. I hope these two continue to surprise us! It has been interesting watching them defy the odds (spoiler-wise). And it would help in the prediction game, too. These two have been defying the odds spoiler wise. LMAO. I think nobody expected them to make the final 5.. and here they are! Amazing, but I still love Kami and Karli more than these two.. but i'm rooting for them!! Out Lesbian LaKisha Still in the Running on "The Amazing Race"
AfterEllen.com recently learned that the 28-year-old contestant LaKisha "Kisha" Hoffman on Season 14 of CBS's The Amazing Race is openly gay. This information was revealed by Rev. Mel White, an openly gay minister who was racing with his son until he was eliminated last week, in an interview with our brother site AfterElton.com that will be posted there on Friday. Since we don't "out" people, and there have been no public statements from Kisha about her sexuality, we contacted CBS before publishing this story. They confirmed that Kisha is indeed openly gay. Although there have been close to a dozen gay or bisexual men — three in this season alone (Mel, his son Mike, and Luke) — participating in the popular CBS reality series, there have only been a few openly gay or bisexual women: lesbian ministers Kate and Pat, racing as a couple on Season 12; 27-year-old lesbian Lauren Marcoccio, racing with her father in Season 10; and bisexual contestant Tian Kitchen, racing with her best friend in Season 4. Kisha is the first openly gay woman of color to race on the series. Her sexuality has not been mentioned on the show or in any Amazing Race press materials. A youth program coordinator and basketball coach from the Bronx in New York, Kisha is racing with her sister Jennifer, 24, who are referred to on the show as "Kisha & Jen." These two former Division 1 College athletes look forward to becoming the first ever all female Team to win the Race. Besides athleticism, these sisters have little in common. LaKisha works as a youth program coordinator and basketball coach. She hopes the same strengths that make her a good coach – patience and a strong competitive nature - will ultimately make her the best Racer the game has seen. Meanwhile, she claims her sister is very impatient and blunt when it comes to dealing with others or speaking her mind. Jennifer works as a marketing assistant and newsletter coordinator for an assisted living company. She claims that she is the creative one while LaKisha is the analytical one…two traits that will undoubtedly be tested on the Race. Jennifer is infectiously energetic and confident, played college volleyball at the University of Louisville. LaKisha played basketball for the same school. Both have a competitive drive and are eager to put it to the test against this season’s crop of Racers. Neither sister has traveled extensively outside of the states, but they are looking forward to embarking on this journey of a lifetime together in order to change that. They will run the Race with unstoppable speed and numerous arguments along the way. Although they started the race unimpressively, Kisha and Jen have proved to be a formidable team, coming in third in one leg, and then second in another. The two sisters have worked fairly well together so far (by Amazing Race standards). While both women are fairly low-key racers, Jen's demeanor tends to be more negative, and Kisha's more optimistic (her nickname in her college sorority was "Dr. Giggles"). But in last week's episode, the sisters made a costly mistake when they left their travel documents behind during a task, and were forced to go back and retrieve them before being checked in, which meant they not only gave up their third-place lead, they narrowly avoided elimination. The season started with 11 teams, which has now been whittled down to 5. Tune in Sunday at 8pm EST/PST on CBS to see how Kisha and Jen fare in the next leg of the race, or catch up on the episodes aired so far online. Sisters Kisha and Jen were The Amazing Race’s most athletic team. The NCAA Division I stars could outrun everyone else. They seemed invincible. But, like the Wicked Witch of the West in The Wizard of Oz, water was their Achilles heel. First they left their fannypack behind in a Thailand boating challenge. Then Jen battled her water phobia during a swimming challenge. The water finally won during last night’s leg. Jen drank too much of it during an eating challenge and made an ill-timed potty break that led to their elimination. The sisters opened up to Fancast about their unusual elimination, their bitter rivalry with Luke and Margie, and why they’re the only reality show contestants who actually like the way they were edited. How far behind Cara and Jamie were you at the Pit Stop? Jen: We really have no clue. You two had one of the most memorable exits in Race history. Jen, how do you feel about being known as the person who got eliminated because she stopped to pee on the way to the Pit Stop? Jen: That’s fine. People have their opinions but it’s all hindsight right now. People can only say what they might have done in that situation but they’re never in that situation so I just laugh it off. People are funny. It was a funny episode, I really must admit. Were you mad at Tammy and Victor for U-turning you? Kisha: No. We weren’t upset with them for using it. We were disappointed because we definitely didn’t want to be U-turned especially when we knew what the other task was. We know it’s a game. It’s strategy. Several of the racers were intimidated by our footspeed so we felt like if they had the opportunity they would U turn us. How long did it take you to do the Chinese restaurant challenge? Jen: We were very surprised. It didn’t take us long. Maybe fifteen minutes. We had to repeat it four or five times. It was so funny. We really want to know what we were saying in translation because what they said in the episode I’m sure wasn’t true. It was for entertainment and it was extremely funny. Kisha: We were nervous when we started. We quickly came up with a strategy. What we did was write down what they said to us and in English and repeat it so that when we went up there to say it we had some clue. It worked for us. Jen: It was like Chinese phonics. How far behind everyone else were you in the swimming challenge? Jen: I wouldn’t think it was more than two hours. You really don’t have a concept of time in that situation. When my sister was pushing me we just wanted to finish strong, like she said. Were you really ready to quit the race because you feared swimming? Jen: When they showed that aspect of it, it was the culmination of a lot of events. It was a very stressful situation, you’re giving it all you can. You’ve got to push through the pain. But at times it could be so overwhelming. At that very second it was over for me because we were in last place but we didn’t know what was in front of us so I was looking looking more at the negative side of, “We’re done, we’re last.” I felt really regretful that we came this far and that would be the end of it. There were a lot of different ideas going on in this little head of mine. I’m glad I had my sister. That’s all I can say. Do you think that the stress of the swimming challenge impacted your performance on the rest of the leg? Kisha: I don’t think so. I felt that she pushed through it even though she was afraid. When we found out the race was still going we were excited and shocked. I think that it din’t deflate us. It actually energized us. The show focused a lot on your rivalry with Margie and Luke. What really went on there? How did you feel when Margie complained to Phil about the two of you? Kisha: I think that it’s a competition. People get caught up in the moment. Once it’s over, like my sister said on the show, it’s water uner the bridge. We’re moving on. We didn’t hold a grudge. Just from seeing the show, I don’t think that’s the same thing they did. When we were at the Pit Stop I was shocked. We had just ran and I was totally exhausted. We just wanted it to be over with. So when they got really upset we didn’t know how to handle that. I just stood there. All along through the Race people called me “giggles” just because I laugh. I think Margie was aware of that. So when she made the comment about laughing at her son, I didn’t think that was the right assessment of the situation. Have you mended fences with them? Kisha: We don’t really communicate with them. I have nothing to say on that subject. Who were you rooting for in the final three? Kisha: Tammy and Victor just because we thought they ran a race similar to ours. They worried about themselves. There may have been times when they shared information with other people but overall they were very focused on their team and I think they ran a pretty classy race. Even though we were disappointed in them U-turning us we understood that was strategy. Which moments of your race do you wish America had gotten to see? Jen: I think they did a great job of depicting who my sister and I are. The Race is set up so that you build these stories around these people. As the Race progressed you got to see a lot more of who my sister and I are. We’re goofy. I tell her to shut up when she sneezes. She knows that sometimes I can be a hot head. Our friends and family would call us and day, “I knew you guys would do that. I knew you would react that way.” I think CBS did a great job. There’s only so much you can see in an hour. What advice would you give to future competitors on the Race? Jen: Have fun. My sister and I had fun. We knew we were going to get on each other’s nerves the first few days. But it’s about how we adjusted, how we communicated with each other. I learned a lot about her. She learned a lot about me. We can communicate more effectiveley now than before the Race. I definitely wouldn’t use it for couples’ therapy, but if you’re going in with a family member, you have to take everything with a grain of salt. Kynt and Vyxsin are fancast’s celebrity Amazing Race bloggers. They have this question for you: Girls! It was great to see Louisville BACK on the Amazing Race, thanks to you guys! We pegged you all early on as the MOST athletic team in the current cast and you definitely lived up to that expectation! We have this question for each of you…….tell us about each of your athletic backgrounds. And what do you consider your greatest athletic achievement in the 502? Jen: I played volleyball at U of L. I probably achieved the top accolades of any volleyball player here, but I wasn’t a great player. I had the help and the teachings of great people at the University of Louisville to shape me as a player and, in turn, shape me as a person. I played overseas professionally, I played with the national team. I came into every situation with an open heart, wanting to learn. I’m currently a coach here at the University of Louisville so I’m giving other people the chance who weren’t as good athletes as I turned out to be. I wasn’t always the best athlete when I was in high school. My best attribute as a player is that I was a student before I was a teacher. Kisha: I played sports in high school. Then I played basketball. My experience at Louisville was great. It was just a different dynamic. I felt like the coaches that were involved in my life really pushed me on both the athletic side and the academic side. I’m a Youth Program coordinator. I work with student athletes so I instill the same values in the kids that I work with. I truly love them. I'll miss them in the finale. Me too Ken! So I'm watching Bonnie Hunt and it sounds like she'll have the final 3 on her show next week but noted that the sisters didn't want to be on because they are not happy? Maybe thats a question for the Tarcon people to ask them.. thats if they are at Tarcon? LaKisha and Jennifer Hoffman were stuck in the back of the back, when the second part of the China leg of The Amazing Race kicked off. "It was so stressful," Jen tells In Touch. The sisters managed to make up a ton of time - even after being U-Turned and forced to complete both Detours - and were well on their way to securing a spot in the final three. But when Jen stopped to use a port-a-potty just yards from the pit stop, another team snuck past them. "I don't regret anything," admits Jen. "On the race, things happen and you can go from first to last and vice versa," adds LaKisha, who doesn't hold a grudge against her little sister for taking a million-dollar pee break! What went through your mind at the pit stop when Phil handed you a clue and said that the leg wasn't over yet? Jen: I promise you that sucked everything out of me. That first part of the leg was so stressful and I was thinking that it was the end for us. But when Phil said that we had to keep going, I was in total shock. It was a great feeling, though. Would you say that China the hardest leg of the race? Jen: Emotionally, yes, because of my fear of water. That made it the most difficult for me to push through. It's hard to conquer a fear. How did you manage to make up so much time during the second half of the leg? LaKisha: After we left the opera house, everyone got lost except for Tammy and Victor. Figuring out that clue took a long time. Once we realized that it was right next door to the place where we were, we just focused on trying to complete each task and make it to the pit stop. Were you shocked that Tammy and Victor U-Turned you? LaKisha: No we weren't shocked at all. There had been a lot of talk from other teams saying that if it came down to a footrace to the pit stop then my sister and I would win. So the teams were worried. Jen: Yeah, we weren't surprised at all when we saw our pictures on the U-Turn. LaKisha: Disappointed but not surprised. Jen, do you regret stopping to use the bathroom before checking in at the pit stop? Jen: It's all in hindsight, and I don't regret anything I've done on the race. LaKisha, are you proud of your sister? LaKisha: Yes, I'm definitely proud of her. I've said she's not my little sister anymore; she's an equal team member. Everyone thinks I should be hard on her for wanting to stop to pee, but I'm not because we wouldn't have made it that far in the race without her. I'm proud of her for really conquering her fears of water on the last leg. She was able to swim and finish the race, and I'm really proud of her because of that. The "Sisters" team of Jennifer and LaKisha Hoffman seemed to be on their way to securing the third and final slot in The Amazing Race 14's final leg. However after downing several bottles of water so that she could complete the penultimate leg's gross food Roadblock task, nature ended up calling at the worst possible time for Jennifer, and she and her sister were eliminated from the race after they after made a brief stop for her to use a bathroom on their way to the leg's Pit Stop mat. On Monday, the sisters spoke to Reality TV World about why Jennifer wasn't willing to pee her pants for $1,000,000, why LaKisha's openly gay sexual orientation was never mentioned on the show, how long the extra U-Turn task they had to do really took them, and what they thought about their unusual Pit stop confrontation with fellow racers Margie Adams and her son Luke Adams. Reality TV World: Let's start at the beginning of last night's episode. did you guys walk up to that Pit Stop knowing you were already in last place or did you think maybe Tammy and Victor had gotten lost or [something else]? LaKisha: Oh yeah, we knew we were last. Reality TV World: So did you arrive there thinking there was any chance it might be a superleg or were you 100% certain at the point that you were going home? Jennifer: We just wanted to finish strong and that's the thing about the race -- you can never predict what's going to happen because it always amazes you, that's why it's called The Amazing Race. But when we were the last team to leave the Detour in China we just wanted to finish, we just wanted to make sure that we didn't quit. So at that point that's what was on my mind: let's finish strong. She motivated so much to where -- I was defeated from all the stress. I was mentally just broken down, so having my sister there, not wanting to disappoint her and her having that confidence in me. Just, that whole situation became bigger than the race at that point for me. And that's why I said had I not had my sister, anybody else would have let me quit. So at that point it became much bigger than the race, it was about finishing strong and about how at that point you see my sister and I's relationship, you know, grow. And that's the type of people that we are -- that everything that they built our story and so forth and so on, that's what you see, that's how we are. That's what I'm most appreciative of having her experience this with me to the end when we got eliminated until now. She's still... she's one of my best friends. Reality TV World: Jennifer, can you just talk a little bit about what happened with that swimming task. Was it a water phobia? I don't like -- I don't put maybe in situations where I'm required to swim or when I'm around a pool or anything. I always have the attitude 'Well I'm 6' 1" so I can stand in the shallow end and not even hit my belly button' you know, so if I can stand in the water, why swim in it, who cares. It wasn't a fact of me never wanting to learn how to swim, it just wasn't on my agenda and you know, I just don't put myself in those situations because I automatically think 'death' with water and 'drowning' because I'm an anchor. When you put me in the water I don't float. Reality TV World: So going forward to the middle part of last night's episode, how much time did you guys lose when you were wandering around looking for that U-Turn cluebox after the opera house [task]? LaKisha: We're not sure but it felt like we were walking around for hours. We were okay at first, we felt that Tammy and Victor, you know, they had the advantage of the language so they had that to go on [but] we actually saw Margie and Luke and Cara and Jaime walking around as well so even though we were a little frustrated that we couldn't find this place we knew that two other teams were with us. And then we didn't see Margie and Luke anymore so we figured okay, they found the location and it was down to these last two teams trying to find out where this next clue was. Reality TV World: Were you expecting to be U-Turned? Because [the show showed] Tammy and Victor making some statement about how they expected you to have U-Turned them if you'd had the chance? LaKisha: Yeah, I'm not sure why they expected us to U-Turn them, only in the sense that anybody in the situation when it's down to the final four teams and whatever you can do to get an advantage on someone else that's what you do. Reality TV World: They also said that you guys would have definitely U-Turned someone else if you'd had the opportunity. Was that the case, had you discussed that and who would you have done? Jennifer: Um, it's all about strategy. Like when we were in the race and we'd seen Margie and Luke and Cara and Jaime we'd figured that we could assume Tammy and Victor were before us. So, thinking at a strategic point -- because my sister and I, we don't hold grudges, we always think about what's at stake -- so [in that] instance, we'd been roaming around [for a while]. So if an hour or a half hour had passed and we didn't see Margie and Luke well then we assumed they were up ahead of us so the only team behind us was Cara and Jaime. You see what I'm saying? It's not like 'Oh, if we get there first these are the people that we're going to U-Turn to be malicious.' No, it was all part of a strategic standpoint and that's why we understand why Victor and Tammy did it. Reality TV World: So if you had been in third place [you'd have used it] but maybe not [if you were in] first place? Reality TV World: How long did it take you to go back and do that Chinese Waiter task? That seemed pretty difficult. And so I think initially we were a little nervous but once we came up with a strategy to get past it then that's what we did. So surprisingly it only took us 15 minutes or so. Reality TV World: Did you guys really finish just "seconds" behind Cara and Jaime at the Olympic stadium? I know that's what [The Amazing Race host Phil Keoghan] said, but they didn't seem to still be there on the mat [or nearby]. LaKisha: We're guessing [it was] minutes but you really never know, there's really no concept of time during the race until someone is running right next to you. Jennifer: Yeah, let's just say I did not piss away a million dollars, please. Let's just say that. Reality TV World: ...and you know, peeing their pants seems to be something most folks have thought they'd be willing to do. Did you realize how close things were [with Cara and Jaime] at that point or did you not realize how tight it was? Jennifer: I've been getting calls 'Oh, I would have peed on myself' [and I've been saying] well, you're never put in that situation, ever, in life, so you can always say that it's something that you would do but when you're in that situation we'll see how you'd react. So I've been like yeah, it was a funny episode [and] you know, it happens. Stuff happens so we've definitely moved on and I don't regret anything that I did in the race and I think my sister and I ran a great race. Reality TV World: And this is obviously a hypothetical, but do you think you would have made the same decision if that had been the race's final finish line instead of the penultimate Pit Stop? Reality TV World: The gross food [Roadblock] task, Cara really seemed to fly through it. Was that something that surprised you? I think the other thing was that their cab driver dropped them off pretty close [to the stadium] where you could see from the show that our cab driver dropped us off [farther away]. And all those factors concerned left us, you know, in fourth place. Reality TV World: But you didn't actually get lost on the way there or anything like that, it was basically the bathroom break that was the [final] difference maker? LaKisha: You know there were several factors, it wasn't just one single instance that really put us in that position. Reality TV World: Going back, you had actually alluded to Tammy and Victor's [Manderin language knowledge] a little while ago. Obviously the course was pre-planned, but you guys ended up spending I believe it was not one or two or but [essentially] three legs in China. How big an advantage do you think that was for Tammy and Victor [at this stage in the race]? LaKisha: I think that in certain instances it was an advantage. Like say in yesterday's episode when they were looking for the next clue. Because they could speak the language, they found out really quickly that it was right next door where for us we didn't find that out. But the other part of that too is that they are [still] at the mercy of the cab drivers. Even though they speak the language, I think it's pretty tough to -- I mean if you have a cab driver that doesn't know where he's going then it doesn't matter if you can speak the language. I think that in some instances it's an advantage and in other instances you're still on the same page. Reality TV World: LaKisha, a couple of weeks ago there was a story about how you're openly gay but how that wasn't featured anywhere in the [show]. Was that your decision or was that someone else's decision? LaKisha: I think it was CBS' decision just because this is a race so I think [the teams] have certain labels and we were 'the athletic sisters' and they really wanted to focus on that aspect of our relationship. And I think they did a great job of that because from the beginning of the race with us adjusting to each other to the end of the race [with] us really supporting and working well as a team, I think they really captured that. And you know, it's just one of those things where I have big breadth. There's different characteristics of me that make me who I am, from being a woman, to being African-American, to being a sister... it could be as a teacher... it could be as a lesbian. You know there's so many aspects of me so I guess they picked what they felt would really be fitting for us at that moment. No, that wasn't my decision because my family knows about me and my friends know about me. Reality TV World: Jen, can you talk a little bit about those clue box incidents with Luke? Based upon what was shown [on TV], it looked like Luke was at least as responsible for what happened there. Jennifer: Everything they showed and aired on TV was exactly what happened. There's no, you know some people say believe half of what you see and none of what you hear, but if you see it and it's on TV -- I mean it wasn't edited to the point where it was [even] choppy or what have you. What happened is what happened. There's kind of no room for error but there's really nothing I can say because everything that was explained at the mat and on television by myself was what happened and that's all that I can go from. Reality TV World: Were you guys how surprised how strongly Margie reacted? Jennifer: I was definitely taken back and honestly I was very disappointed and very shocked at her reaction, definitely, but to each their own. Reality TV World: According to Phil's blog, that argument at the Pit Stop there after actually went on for about 30 minutes, is that accurate? Jennifer: It was more like us standing there and them yelling, yeah. Reality TV World: Did that change your overall opinion of Margie and Luke or did it just reinforce whatever opinion you already had? LaKisha: I think that in the instance, just because we don't hold grudges, that when it came down to that next day starting of the leg that we were you know, pretty much over it. [It was] water on the bridge, we're in a competition. Reality TV World: So you weren't aware that they had held that grudge then until actually viewing back the episodes now? Reality TV World: Can you guys talk a little bit about how you ended up on the show? Who originally [wanted to] apply and why? Jennifer: I definitely have been a fan of the show, so I applied to it and you know, I originally applied for Survivor but I decided, you know, to change my mind and apply for The Amazing Race. But the whole process of filling out the application and the video, I mean things just worked out and I asked my sister if she wanted to do it with me and she said 'I don't even know what you're talking about, what's the show?' but all she watches in Law & Order so she had no clue about the show. So once I said 'You know, watch a couple, I really want to do this with you' and she was like 'Oh, okay, this will be awesome, you know we can do all this and blah, blah, blah.' She got a little bit more excited than I did that's for sure. But yeah, I was always a fan so I was the one that kind of applied for the both of us! Reality TV World: what was your favorite overall experience while you were out there? And I think our relationship really changed at that point because instead of us like fighting and really arguing and being frustrated with each other we just kind of took everything with a grain of salt and we laughed. But between that and the swimming episode where my sister really kind of wanted to give up and didn't and overcame her fear and finished strong -- those are probably my two favorite moments. So it was almost like a reflex that -- at some point we just completely disregarded the cameras and that's how we are. However they depicted us, they way they depicted us on the show, that's the way we really are is it was just like word vomit... I really told her to shut up when she sneezed and I was laughing hysterically at that as well. There were a lot of enjoyable moments, definitely. Reality TV World: Your least enjoyable would be the gross food task at the end? Jennifer: Um... I did upchuck there a couple of times, but... yeah, yeah, that has to be the most disgusting (LaKisha laughs) because I can't even comprehend anybody voluntarily eating that, there's just no way. Reality TV World: How about for you LaKisha, [your] least favorite? So it took me a lot to watch that episode. Reality TV World: What aspect of the show surprised you the most? Jennifer: Nothing really surprised us. The entire race, you can't predict it, and that's what all the people, all the people that watch the show -- you can't predict it. When we watch it we're seeing it for the first time just like they're seeing it because although we lived through it we don't know how they're going to edit it and everything. So it's kind of a situation where, my sister and I watch it with friends [and] we're seeing it for the first time just like they are so we get that excitement and it resurfaces when we go to all these places and we see 'Wow, I forgot we did that' or 'Wow, I forgot I said that.' It's just a combination of everything that it's simply amazing to experience and I'm extremely happy I did it with my sister.